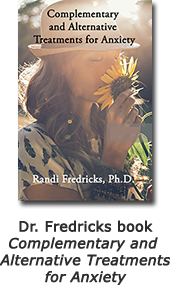 Randi Fredricks, Ph.D. is a relational psychoanalytic psychotherapist with over 30 years experience in individual and marriage counseling. 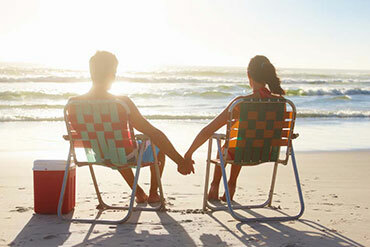 Since 1985, she has worked with individuals and couples helping them to improve their lives. Her work in counseling began treating men, women and families affected by alcoholism. 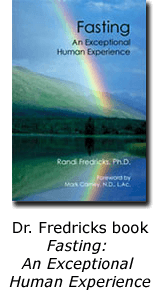 In addition to her psychotherapy practice, Dr. Fredricks is a published author and researcher. Her books have become best-sellers and have been noted in publications all over the world. Dr. Fredricks received her journalism training from Santa Clara University and graduated from there with a BA in Communications in 1991 after completing published research on communications. Her first book, Healing & Wholeness: Complementary and Alternative Therapies for Mental Health, is used as a textbook on integrating natural medicine into counseling, psychotherapy, and psychology. Her second book Fasting: An Exceptional Human Experience is about the long history of fasting for medical, psychological, spiritual, and political reasons. Her latest book Alternative Treatments for Anxiety provides revolutionary remedies for healing anxiety through proven all-natural methods. Dr. Fredricks has been the lead researcher on a number of studies, two of which have been published: Communication Apprehension among Adult Children of Alcoholicsand An Exploratory Study of the Effects of Water Fasting for Depression. Communication Apprehension among Adult Children of Alcoholics was a landmark study on the effect that growing up in an alcoholic home has on communication in relationships. Dr. Fredricks’ study An Exploratory Study of the Effects of Water Fasting for Depression was lauded as a breakthrough on fasting can reduce the symptoms of depression. 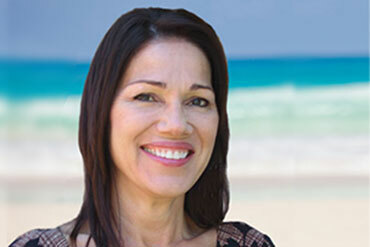 Dr. Fredricks’ education includes a Bachelors of Arts degree in Communications from Santa Clara University, a Masters of Arts degree in Counseling Psychology from John F. Kennedy University, and a Ph.D. in Psychology from the Institute of Transpersonal Psychology. She has certifications as a Hypnotherapist, Master Practitioner of Neuro Linguistic Programming, Clinical Nutritionist, and Clinical Herbalist. She is also a Registered Addiction Specialist with over 30 years of experience treating couples affected by addiction. In addition to her other work, Dr. Fredricks has designed and created her own websites since 1998. She participates in ongoing training, consultation, and therapy because she is committed to continually learning new evidenced-based approaches to marriage counseling and psychotherapy.